It is the oldest material used in the manufacture of gloves, a natural, breathable and flexible product, which covers much of the common risks of most industries. Leather is characterised by its durability, dexterity and thermal resistance. It comes in two forms: garin and suede. It is the best part of leather (outside of the dermis). It provides touch, flexibility and high mechanical resistance. Inner layer, considered as a by-product thereof. It is generally harder and heavier than leather. It has good resistance to cutting, drilling and heat (depending on thickness) and aids grip on wet or damp objects. Top suede: Used for cheaper and less strong and durable gloves. Flesh split: Used for split or reinforced gloves and welding items. The thickness of the split will determine the duration of the glove. Kidskin (goat): Its limited thickness requires the exclusive use of the variety grain, which provides the best mechanical performance since the fibres are not cut. It is a flexible and highly resistant skin with an excellent finish. Lamb: With similar characteristics to goatskin, it is less resistant to abrasion. Very soft, this type of skin thickness provides the best thickness to dexterity ratio. Cowhide: It offers excellent mechanical properties and is highly resistant to perforation. Breathable and comfortable, it is characterized by its durability and excellent abrasion resistance. Buffalo: Its properties are similar to those of cowhide, presenting the disadvantage that it eventually hardens and loses flexibility. Deer: Similar to cowhide’s properties, it is very flexible, soft and resistant to abrasion, cutting, tearing and perforation. Pigskin: It allows higher ventilation than other skins, although its resistance to abrasion, cut and tear is more limited, and offers less comfort, flexibility and dexterity. Synthetic leathe: Technological developments have allowed the production of materials such as Clarino, a synthetic leather that is an alternative to natural skin for making protective gloves against mechanical risks. It is a washable material and has excellent resistance to abrasion with uniform quality and comfortt. Shoulder: It is the most economical part, providing long and thinner fibres than the belly. Back: Midsection, it is the choicest part. 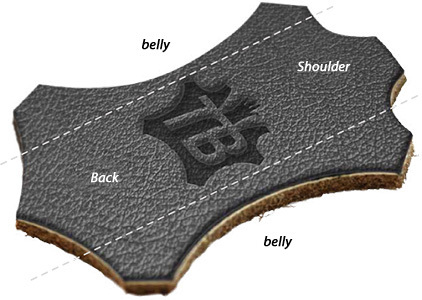 Belly: It is a less resistant part than the back and the fibres thicknesses are patchy. Waterproof: Using mineral or synthetic oils, resins or oils to increase the leathers resistance to water and mechanical abrasion, comfort, dexterity and durability characteristics. Oil- resistant: It is a treatment with mineral, synthetic oils or fluorinated resins which improve the leather’s resistance to water and oils. 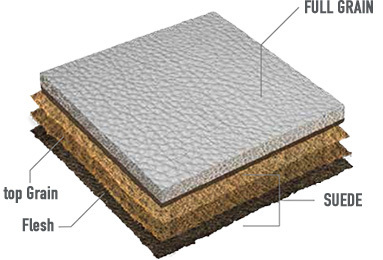 This treatment optimizes the leather’s mechanical performance: abrasion resistance, increased comfort (flexibility), greater range of motion (touch) and duration. Fire- resistant: Improves the resistance of the skin against contact with heat: maintaining flexibility and reduces shrinkage. Cotton / polyester with latex coating for general work. Woven nylon with polyurethane coating for delicate work. Kevlar with PVC coating for cut resistance. Cotton / Polyester with nitrile coating for resistance to oils and chemicals. Cotton / polyester with PVC coating for protection against the cold. Woven nylon / Thunderon with PU coating to dissipate static electricity.